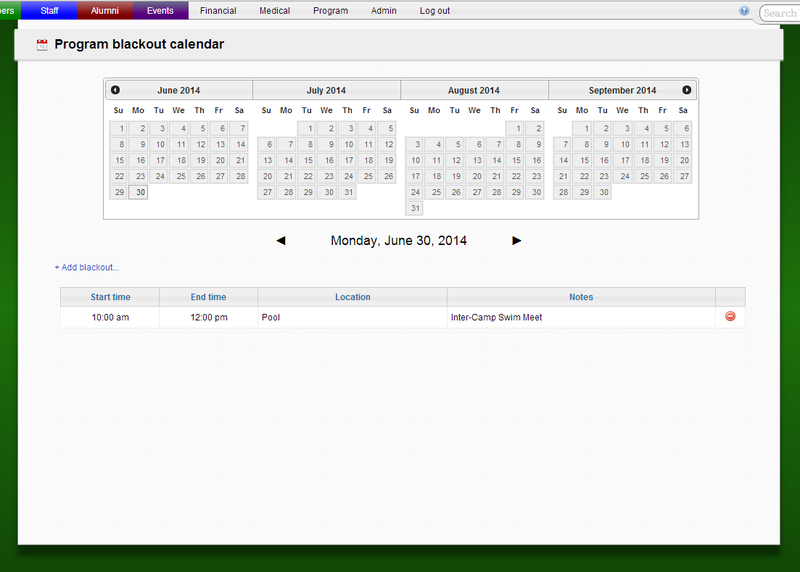 The Program Blackout Calendar allows you to "blackout" Program Locations in camp on certain days and times so that no Activities may be made available to Bunks. To access Program Blackout Calendar, click Program in the the header bar. 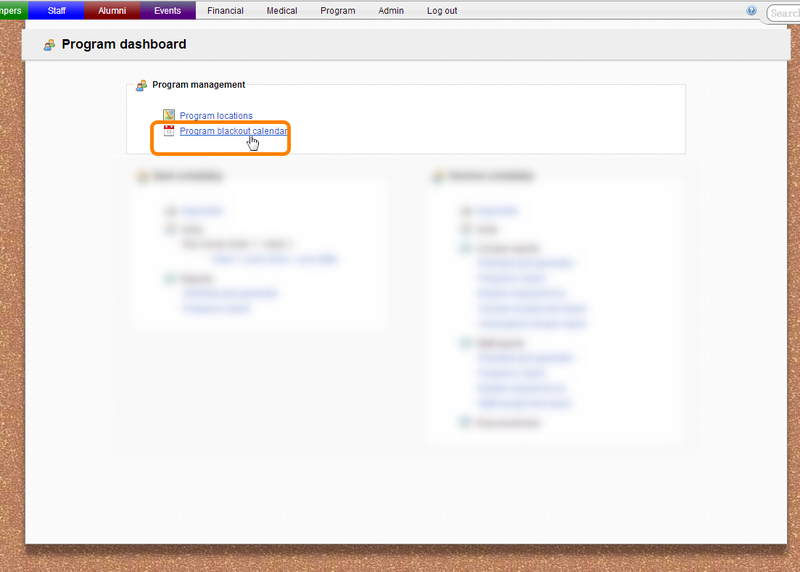 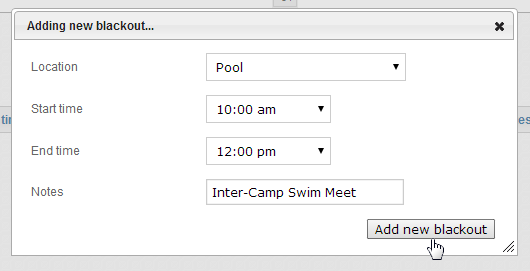 Click Program Blackout Calendar under the Program Management section. 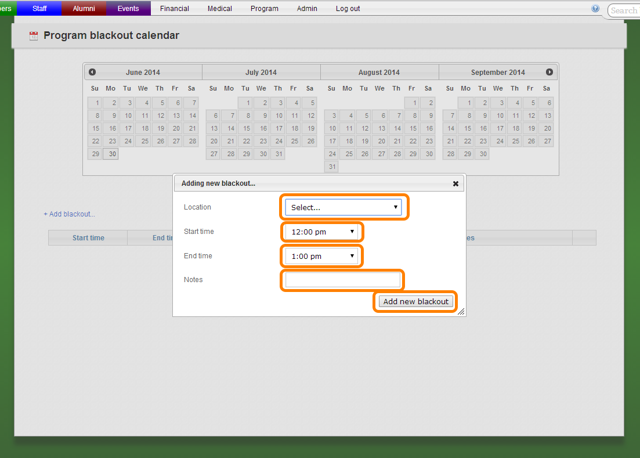 To add a new Blackout click " +Add blackout... "
A pop-up window will appear which allows you to add the new Program Blackout. Choose what Program Location you would like to "Blackout" for the current date. Program Blackouts will appear in order of Start time. After refreshing the pave the days in which you have a blackout present will appear in red in the calendar.